Robert Moran has many strings to his compositional bow, from cheeky Fluxus to post-Minimal lushness. Justly accused of occasionally being “shamelessly Romantic” his music on this collection of his choral music is never short of sublime. Moran was commissioned by Trinity Wall Street (the ‘Ground Zero’ church) to write a Requiem for their youth chorus to commemorate the 10th anniversary of September 11, 2001. The result is a heartfelt and heavenly work for angelic voices with organ, harps and cellos. Its simplicity and direct appeal rival that of Faure himself and it is sure to become a standard repertory work. While many of the singers were barely born at the time of the attacks in New York, the composer found inspiration in the all-too common grief found in war zones around the world (such as Kosovo and London) when children suddenly lose their families to violence. Listeners will note the synchronicity recorded on tape during the Offertory; a siren passed by during the best vocal take and could not be edited out. It becomes a touching reminder of the context of this work and the personal authenticity of these fine musicians. Seven Sounds Unseen for 20 solo voices, was commissioned by the BMG label in 1992 to major acclaim but has long been out of print. It uses fragments of letters from John Cage to the composer and sets them in rich, timeless, monumental choral textures. The remaining works on the album keep the philosophical edge and vocal purity: Notturno in Weiss [Nocturne in White], a Surrealistic poem by Christian Morgenstern, and Requiem for a Requiem, a collage by Philip Blackburn of several Moran recorded works on innova. All performances are stellar: Trinity Youth Chorus (with some adult voices) led by Robert Ridgell, Seattle’s The Esoterics led by Eric Banks, and Richard Westenburg’s Musica Sacra. Philadelphia-based Moran has several major works recently premiered: Alice, with the Scottish Ballet, Buddha Goes to Bayreuth for Germany’s Ruhr Tiennale, and The Lottery for Ballet West. This is his fourth release on innova: Open Veins, Mantra, and Cabinet of Curiosities. 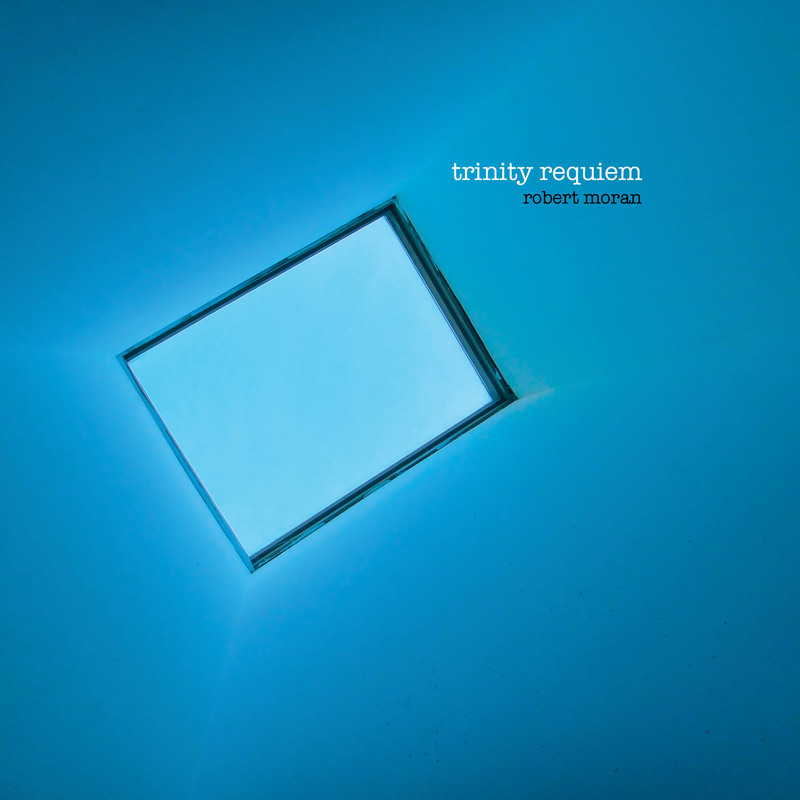 This is another wonderful CD of music by Robert Moran on Innova and features the world premiere recording of “Trinity Requiem”, a work commemorating the 10th anniversary of September 11. An ethereal work of incredible beauty is produced by the combination of youth choir, organ, harp and cellos. The other selections are no less effective. It is great to have the Musica Sacra recording of Seven Sounds Unseen available once again. Robert Moran is one of the world’s great living composers of choral music. This CD, with its beautiful performances of exquisite music, is a must have for all music lovers.